Human Rights Watch (HRW) says Jordan must not broaden its definition of terrorism or else it threatens freedoms of expression. In a report released by HRW Sunday, the rights group said King Abdullah II should reject proposed amendments to Jordan's anti-terrorism law. The amendments propose broadening the definition of terrorism to include such acts as “disturbing Jordan’s relations with a foreign state.” That offence is already in Jordan’s penal code and is regularly used to punish peaceful criticism of foreign countries or their rulers. The proposed amendments would also stiffen associated penalties. The amendments would replace four articles in Jordan’s 2006 Anti-Terrorism Law. Government spokesman Mohammed Al-Momani stated that the amendments are crucial to helping the government deal with Jordanian fighters returning from the war in Syria. Joe Stork, deputy director of Human Rights Watch's Middle East and North Africa division, believes that the new amendments will threaten freedoms of expression. "Jordan’s legitimate security concerns don’t give the government a green light to penalise peaceful criticism of foreign rulers as terrorism," Stork mentioned in the report released Sunday. Legislators adopted the 2006 Anti-Terrorism Law following an incident that took place in Amman where a hotel was bombed. The amendments don't further define these indistinct offences and the law could be used to "prosecute peaceful expression or assembly as terrorism," HRW reported. Prosecutors frequently use Article 118 of the penal code, which bans “disturbing relations with a foreign state,” to limit critical speech about foreign rulers. HRW reported that penalties for such acts became tougher under the anti-terrorism law amendments, requiring the death penalty for any act that causes a death, destroys or damages a building if someone is inside, uses poisonous or other dangerous materials, or entails a life-threatening attack against the royalty. Following Saudi Arabia, Jordan is the second country in the region to pass the new anti-terrorism legislation in 2014. The former recently promulgated a law that includes “harming the reputation of the kingdom” as part of its definition of terrorism. 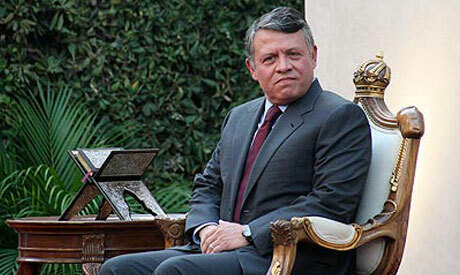 Stork also stated that the Jordanian government's duties should focus on safeguarding Jordan's citizens and their rights. “Jordan does not need to curtail speech in order to stop terrorism.” Stork concluded. Definitely a prudent move to keep Jordan free of the spread of terrorism. Now that Egypt defeated the terrorist influence. Its highly probable they would move where a government is soft to confront them.